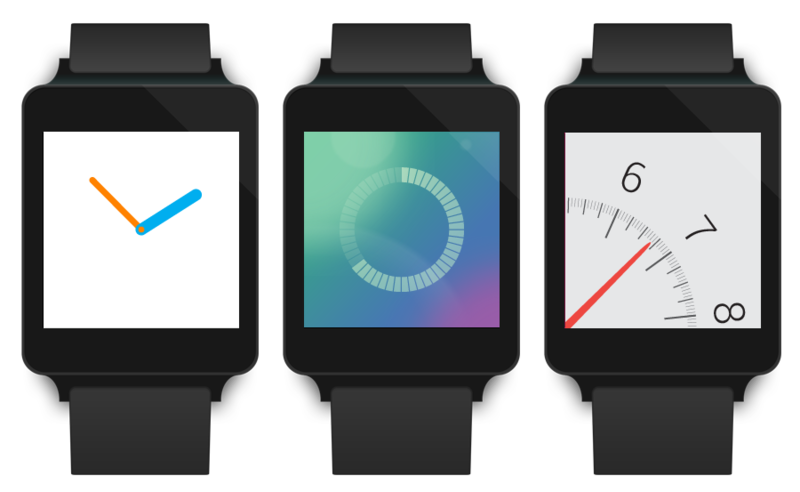 Before there was AndroidWear or WatchOS, a few groups at Google were exploring the concept of a wrist worn interface. As a part-time project, I collaborated with a small team of engineers, UX and industrial designers to explore wearable app concepts. 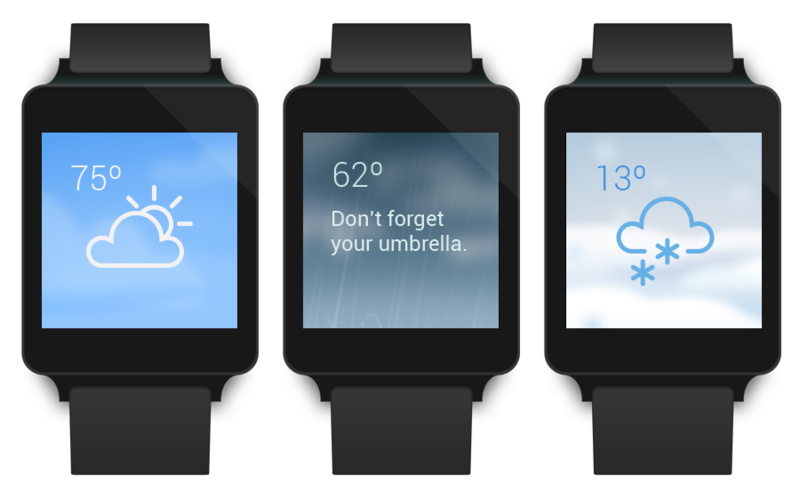 I worked directly with the team for a month, focussing on the visual styling and UX for watch faces and apps, including weather and fitness. The watch faces are where it all began. 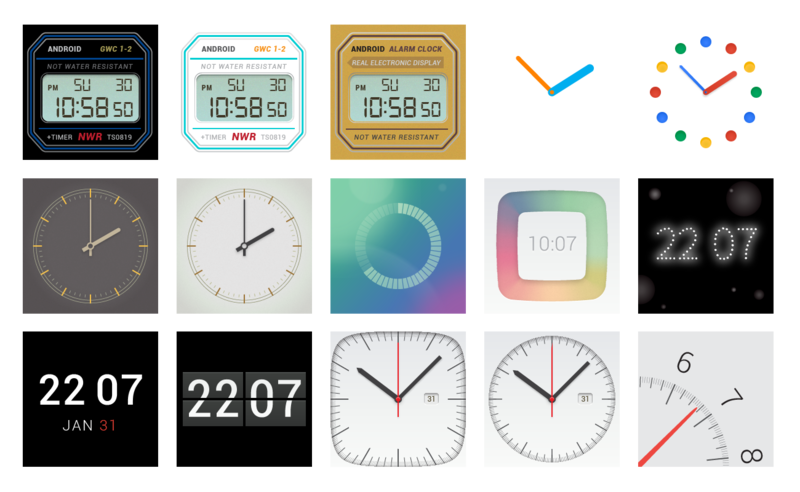 I actually met the team when I entered an internal competition to design watch faces. Despite being new to Google at the time, my designs received a lot of votes from Googlers and I was asked to contribute more ideas for the project. 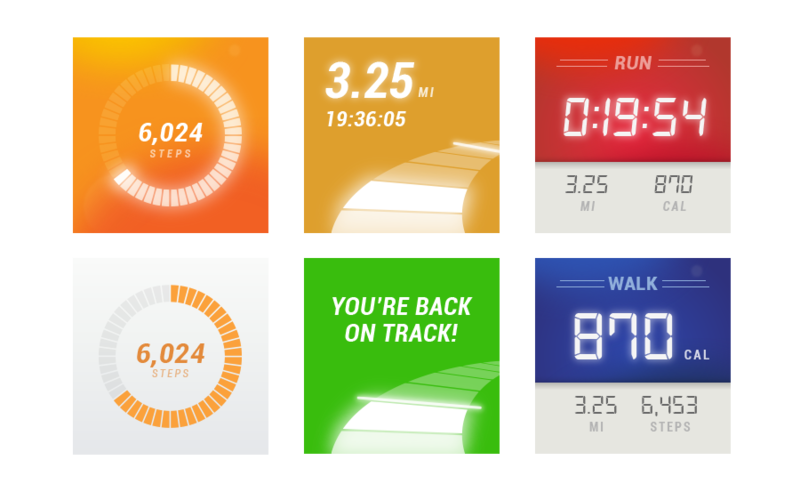 The fitness app was a basic step tracker with goal setting capabilities. 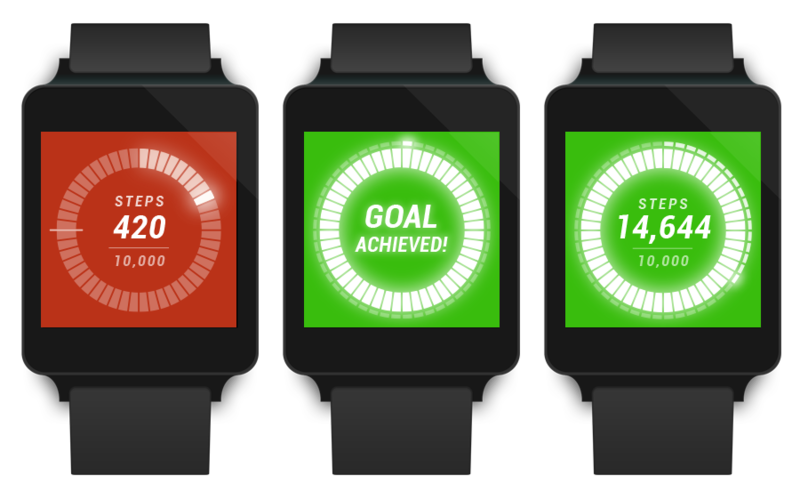 For this, I developed a visual language for progress monitoring, including an After Effects animation showing the transition from Overview to Activity. The weather app was an interesting challenge. I explored ways to convey the feeling or emotion of certain conditions, rather than spelling it out literally. 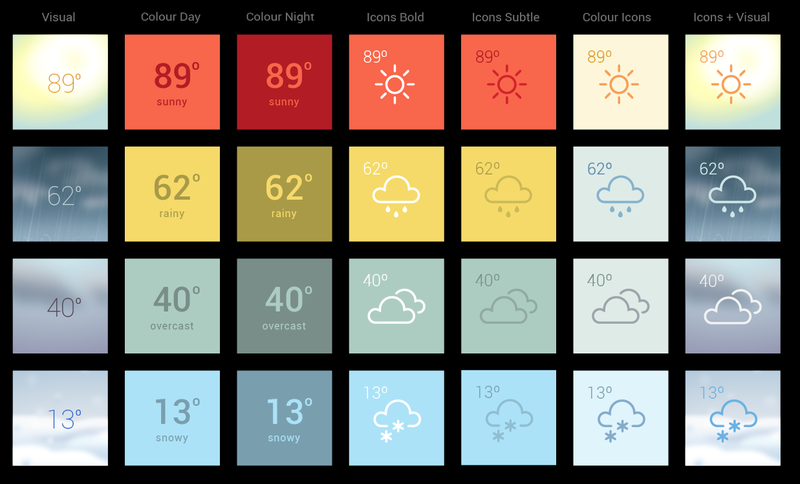 Using first colour and then moving towards vector illustration, the weather app conveys pairs feeling with a message related to your day; "Don't forget your umbrella".